dBTechnologies has recently appointed Todomusica S.A. as exclusive distributor for its full product range in Argentina. Founded by current owner/CEO Rafael Pedace, Todomusica started life 26 years ago as a small retail store and has since grown into a distributor in both the pro audio and musical instruments sectors. “We are very proud to be working with dBTechnologies,” says Pedace, who has headed up the Argentinian company since its inception. The Italian brand joins ranks with many other manufacturers from all aspects of the sound market already in Todomusica's distribution portfolio. For further information about Todomusica, visit www.todomusicasa.com.ar. dBTechnologies Celebrates 10th Anniversary at New Showroom dBTechnologies Deutschland celebrates its 10th anniversary this year, coinciding with the completion of a new 500 sqm showroom at its Cologne-based offices, where the team and visitors were able to toast the company's first decade. dBTechnologies Distribution in South America dBTechnologies is announced that Chilean distributor Audiomusica has now extended its coverage into Bolivia and Peru. 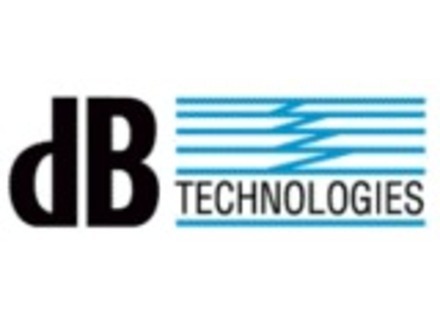 dBTechnologies Appoints Tave in South Korea Italian loudspeaker manufacturer dBTechnologies announced the recent appointment of Dongyang Tave as distributor in South Korea.